We had a good sleep in the B&B and a great breakfast. The crew of two boats slept there. The marina didn't charge us for Sat and Sun night so that covered the cost of the B&B. Sunday was cleanup day. The water had risen above the docks so there was lots of mud. 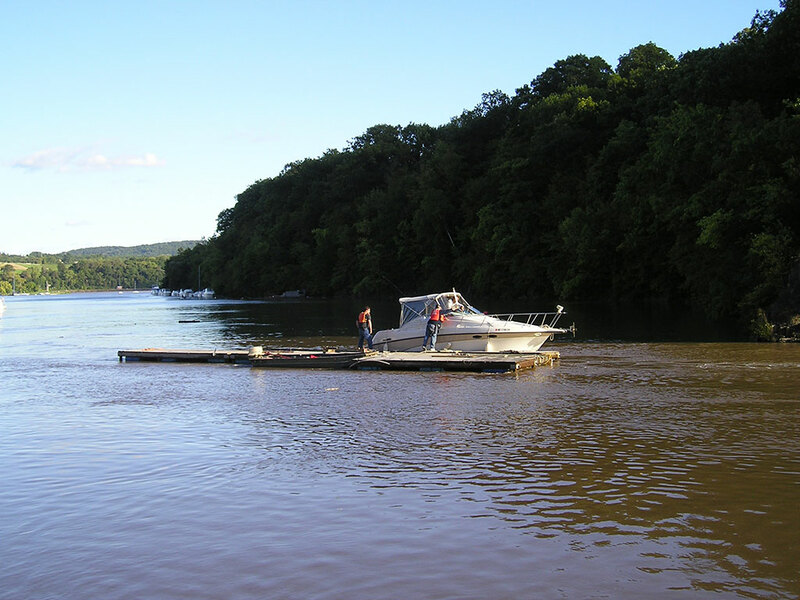 The boats that floated out to the Hudson came back under their own power. The docks were towed back and placed in position.The large sailboat was freed up from the trash and its two anchors and towed down to a marina. I talked to its captain and he was pretty mad at the dock people that dropped his lines in the water, however, the only real damage was to his bowsprit which got bent. He tied floats to his anchors and hoped to recover them on Monday. The sheriff ordered him and his wife off his boat yesterday and said he couldn't take her cat. She took it anyway. Dinner was aboard with our friends from the Albin and we watched the photos I took of the flood.